Similarities between Guernsey’s emergency ambulance service and NHS ambulance trusts have been highlighted this week at the annual Ambulance Leadership Forum. 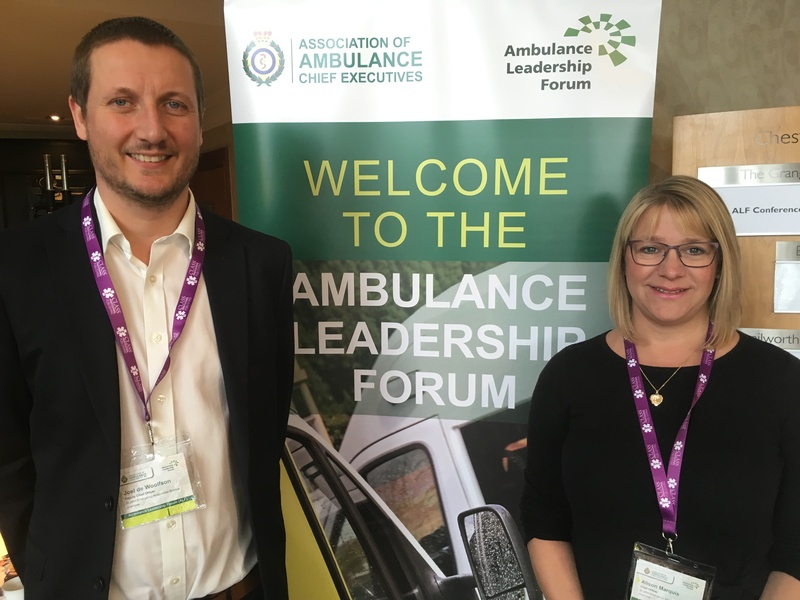 The Chief Officer of the St John Emergency Ambulance Service Ali Marquis and the Deputy Chief Officer Joel de Woolfson attended the 2019 conference in Warwickshire. The annual event is hosted by the Association of Ambulance Chief Executives (AACE) and brings together senior managers from ambulance services from across England and the offshore islands to share knowledge and experience. The 2019 forum focused on three key themes – Operational Stability; Leadership Capacity & Capability; and Strategic Positioning. Presentations were given by a number of leading UK and international speakers, including representatives from St John New Zealand.